This is an ultra fast, super nimble cross-country race machine that was voted Mountain Biking magazine's 2007 XC Bike Of The Year. 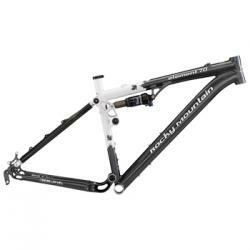 It has a Rocky Mountain FORM 7005 aluminium/carbon fibre frame and Fox Float RP23 Custom Valved rear shocker. It has blistering acceleration and an efficient XC full-suspension technology.